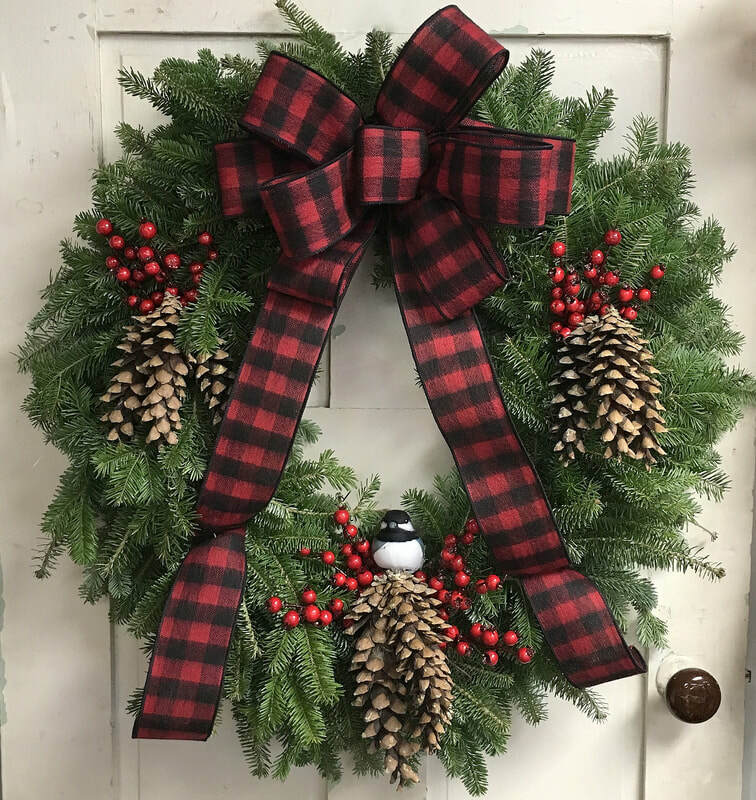 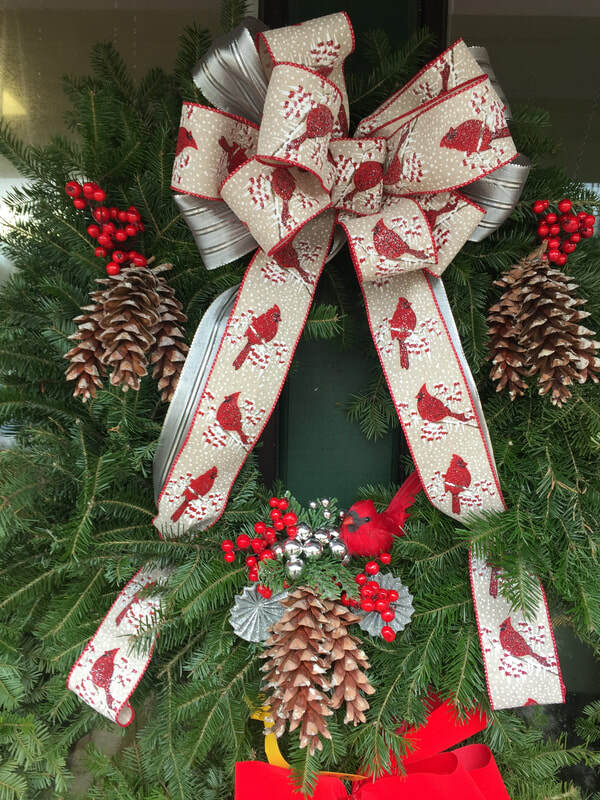 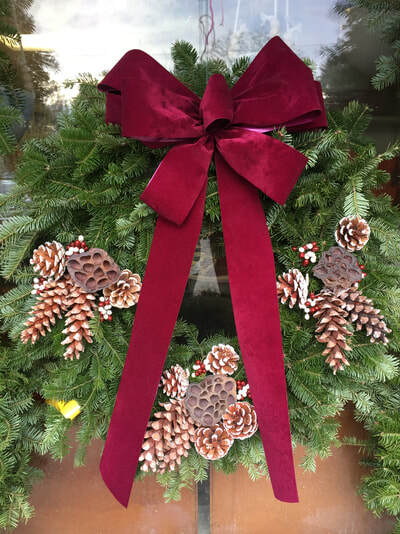 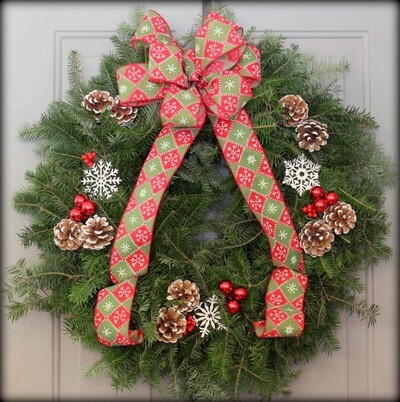 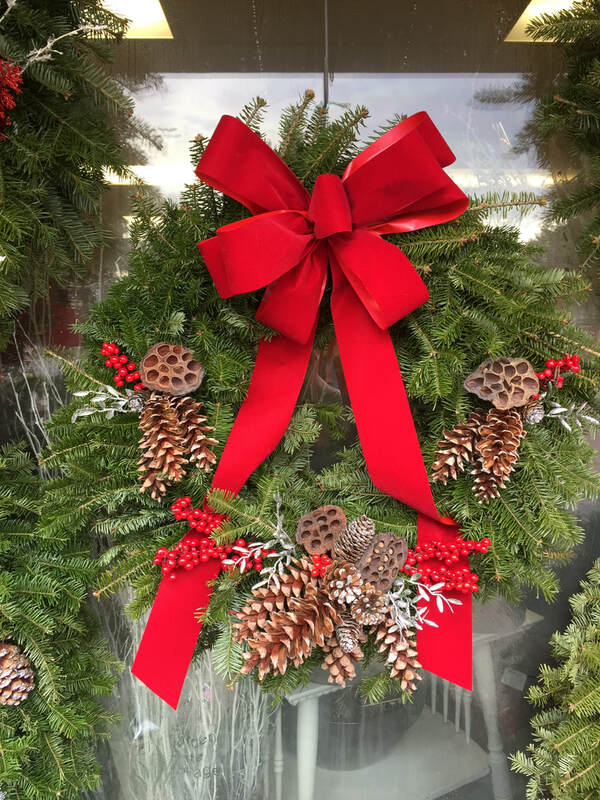 Claussen’s beautiful Vermont made wreaths are available mid-November through December. During those months, we invite you to come in and browse our tastefully decorated wreaths or call us to order yours today. 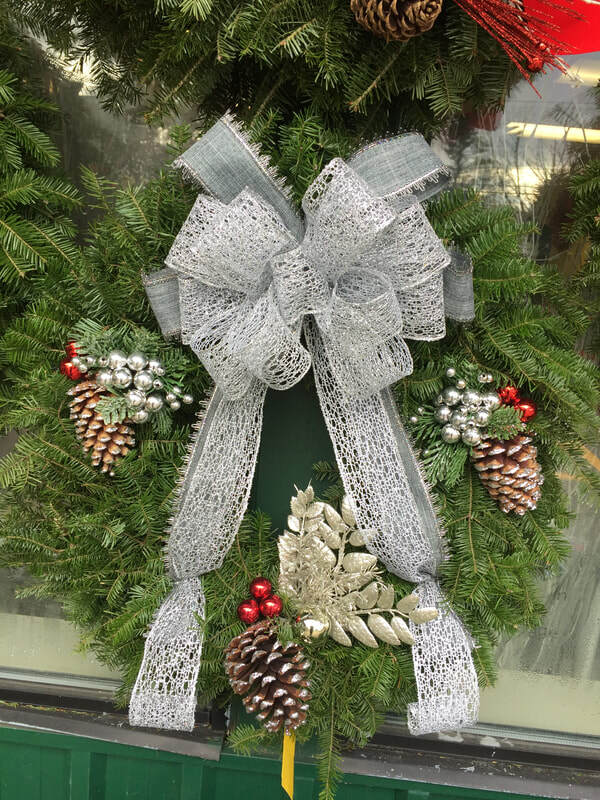 We have many to choose from, including the ones listed below. 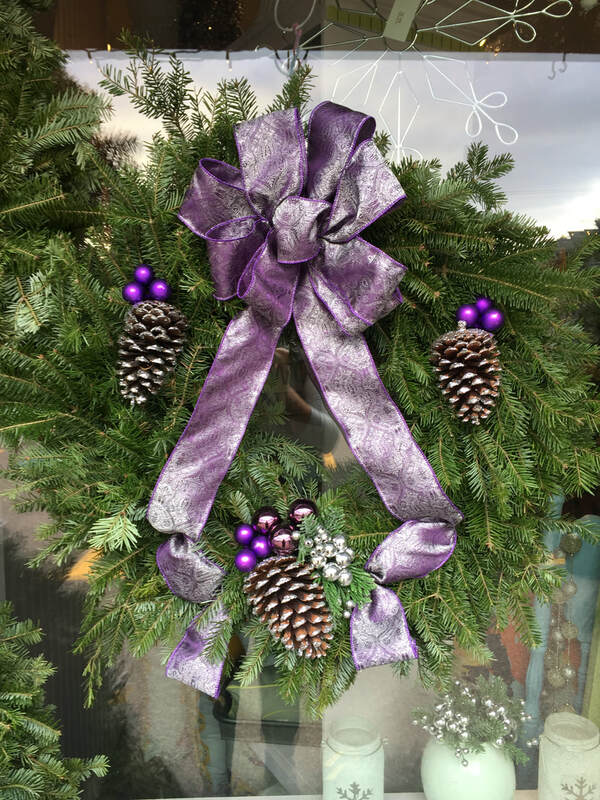 Feel free to call us at (802) 878-2361 and reference the option letter below if you'd like one of these designs for the holidays. 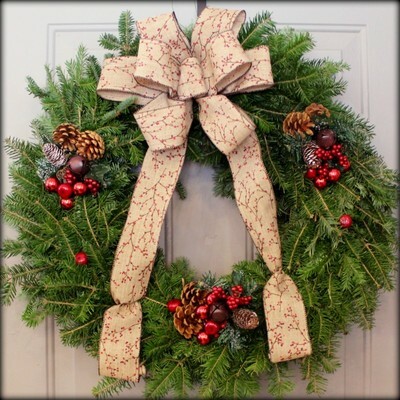 We'd also be happy to design an unique wreath just for you with the various ribbons and decor we have in stock. 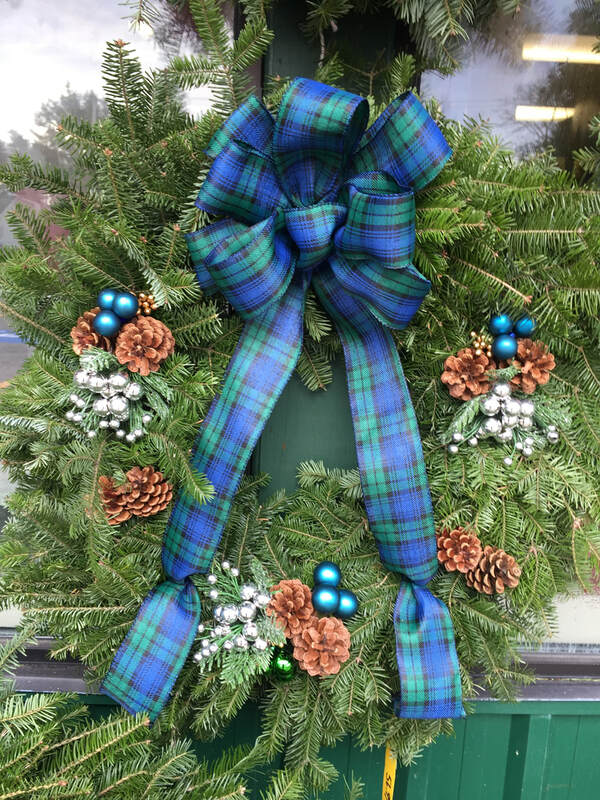 For shipping one of our incredible wreaths to your loved ones, please see the information listed below the photos.